There is a long line and lineage of contemplatives in the West and East that have turned to the mountains, white peaks and ancient spires as places to slake a deeper thirst and find a site for the soul to know a more meaningful quies. This reality has been well tracked and traced in evocative and visual mountaineering classics such as The Mountaineering Spirit (1979) and Sacred Mountains of the World (1990). Poets on the Peaks: Gary Snyder, Philip Whalen & Jack Kerouac in the North Cascades (2002) makes these connections, also, and we know Merton had an affinity with the Beats. My missive, Thomas Merton and the Beats of the North Cascades (2005), connects the dots between Merton, the Beats and mountains. Even the most casual read through these books make it most clear that there is a connection between mountains and the contemplative quest for meaning and depth. Thomas Merton turned to the Roman Catholic Tradition, and to the monastic and Cistercian way within such a Tradition, in search of an older and forgotten contemplative path. The vita activa had come to dominate the modern world, and the vita contemplativa had been banished or subordinated to the active life. In short, Martha had trumped Mary, and there were serious consequences to be faced in both soul and society as a result of this inversion of the ancient and time tried way. "Someone who has actually tasted truth is not contentious for truth. "Someone who is considered among men to be zealous for truth has not yet learnt what truth is really like: once he has truly learned it, he will cease from zealousness on its behalf. "The gift of God and of knowledge of him is not a cause for turmoil or clamour; rather this gift is entirely filled with a peace in which the Spirit, love and humility reside. "The following is a sign of the coming of the Spirit: the person whom the Spirit has overshadowed is made perfect in these very virtues. "God is reality. The person whose mind has become aware of God does not even possess a tongue with which to speak, but God resides in his heart in great serenity. He experiences no stirring of zeal or argumentativeness, nor is he stirred by anger. He cannot even be aroused concerning the faith." Firstly Partners wishes to express our sadness over the loss of the KNU (Karen National Union) General Secretary, Padoh Mahn Sha Lah Phan who was assassinated at his home on the 14th February 2008. 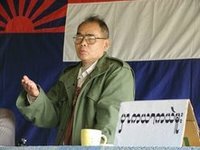 We mourn the loss of a great, passionate and inspirational leader of the Karen people. P'Doh Mahn Sha not only inspired the Karen people but stood for a united Burma and will be deeply missed by all. His vision, strength, and understanding will be greatly missed throughout the Karen community and Burma as a whole. Although he is no longer with us, his memory lives on and he will not be forgotten as a man that stood firmly by his beliefs and who's life works was for a free and democratic Burma. We are not going to re-examine the already familiar list of conflicting beliefs that separate the Western creeds from the Orthodox Christian Church, but rather speak of the way so many people think and talk about God — the way they "theologize" about Him. Roman Catholicism and Protestantism have essentially the same mind — the same culture and history — and, in the final analysis, the same religion; hence, it is not difficult to delineate both together as "Western" in their theological approach and trace this fact to the idea and method of law or what we would call the "juridical concept" of religion, begun in the universities of the Latin Middle Ages. 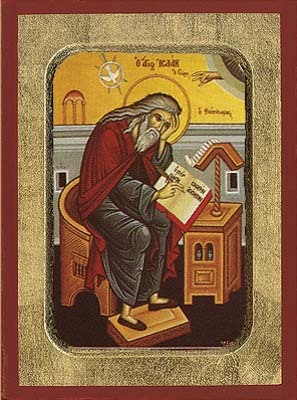 The theology, or rather the approach to theologizing, in the Orthodox Christian Church, is sharply different from the Western approach. Her theologizing is different because her Christianity is different — and it is this, more than any other factor, which accounts for the so-called "separation of the Churches" — or, more precisely, the schism of the old Roman patriarchate from the Eastern patriarchates of the Christian Church, and ultimately the creation of the Roman Catholic Church by Charlemagne.